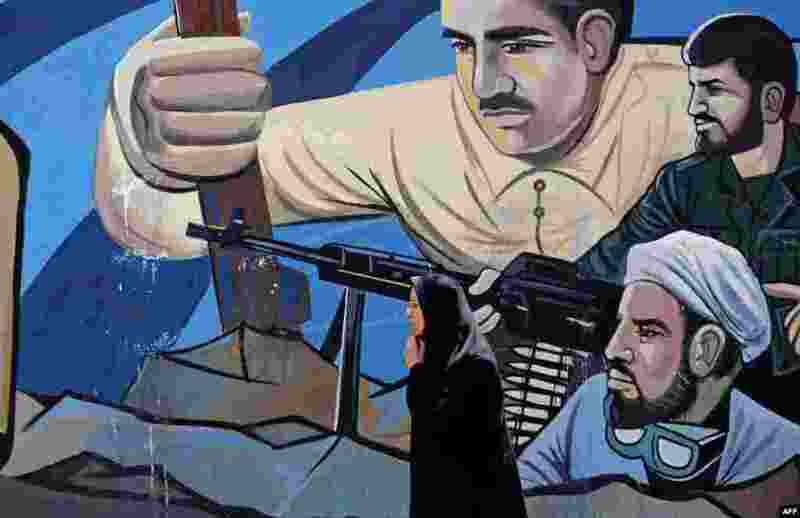 ١ A woman walks past a graffiti mural depicting scenes of fighters painted along Palestine Square in the Iranian capital Tehran. 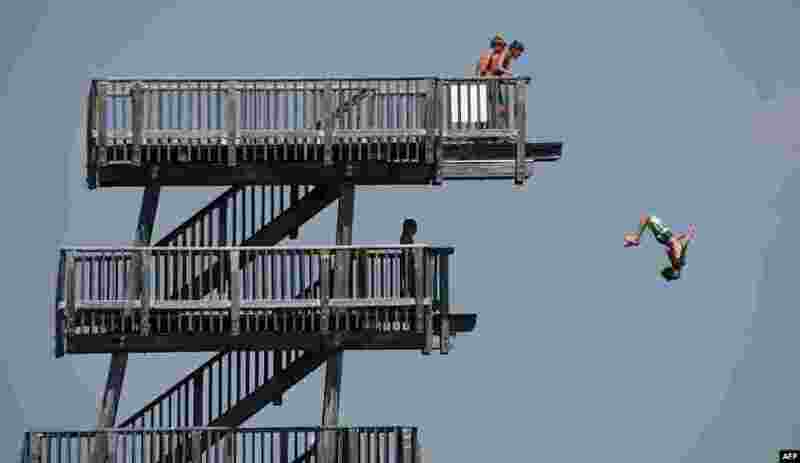 ٢ A boy jumps from a diving tower on the shore of the lake Ammersee near the small Bavarian village of Utting, southern Germany, where temperatures reached around 30 degrees celsius. 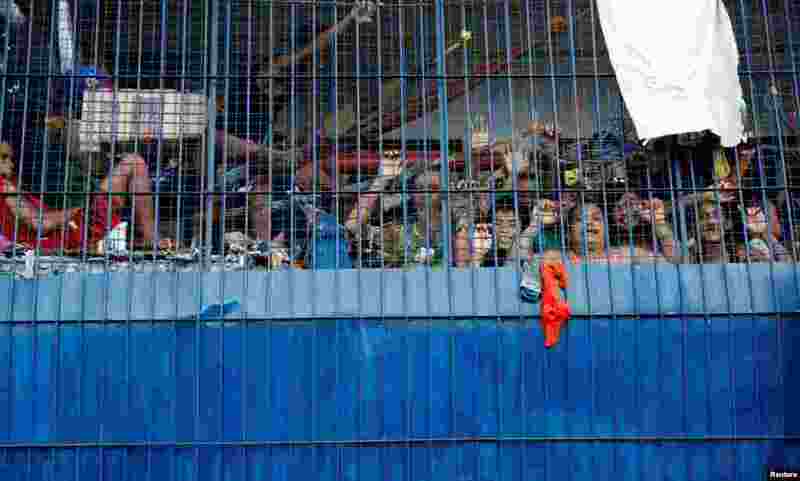 ٣ Detainees look out from a detention cell at a police station in Tondo, Manila, Philippines. 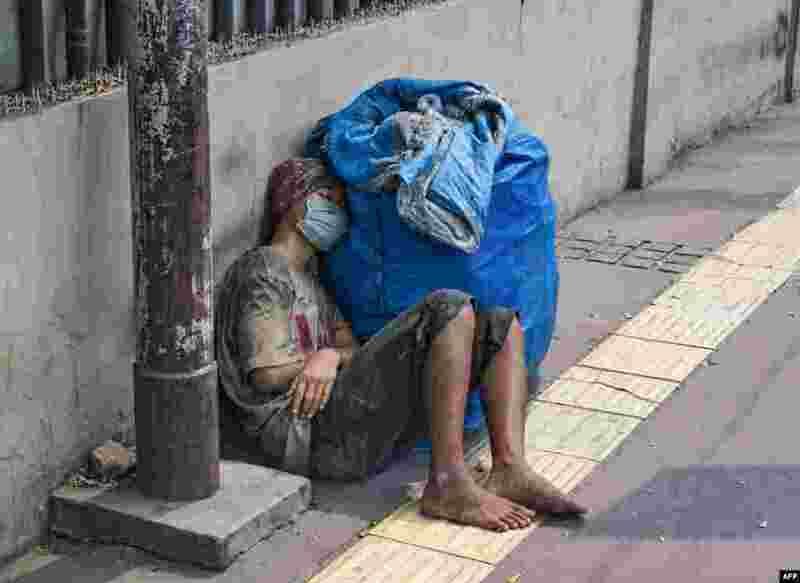 ٤ A man takes a nap on the pavement in downtown Jakarta.